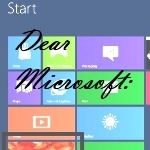 Dear Microsoft – Please fix this Windows 8 thingy! Microsoft has a tough challenge ahead, as do most tech companies. Mobile technologies are growing at an alarming rate as people learn they can do more while on the go. No longer are we tied to a computer to accomplish basic tasks such as email, web browsing, and communicating with our friends. My friends, the paradigm is changing. Desktops and laptops aren’t going away anytime soon, but smart phones and tablets are becoming more and more mainstream as each day passes. Currently we have a multitude of operating systems to deal with and it is quite probable that current users interact with a mix of these operating systems daily. Go home and jump on the computer – Windows or OSX. Grab the tablet and sit on the couch – iOS or Android. Grab your phone and head out for drinks with a friend – iOS, Android, WebOS, Symbian, Windows Mobile, etc. Man, that can get confusing! Microsoft has seen the future (not that it was difficult) and made a corporate decision to present a consistent user interface (GUI) across all Microsoft products. I can see their reasoning and applaud their attempts. You have to admire Microsoft for this decision – real chutzpah. This is akin to putting all your eggs in one basket though. If the public doesn’t like the final product they won’t buy the OS or products that come with the OS. In the past if you didn’t like Windows Phone you chose another device, but you probably had a Windows based computer at home anyway. Have an Android smart phone? Probably have a Windows computer. In the very near future this may not be the case. 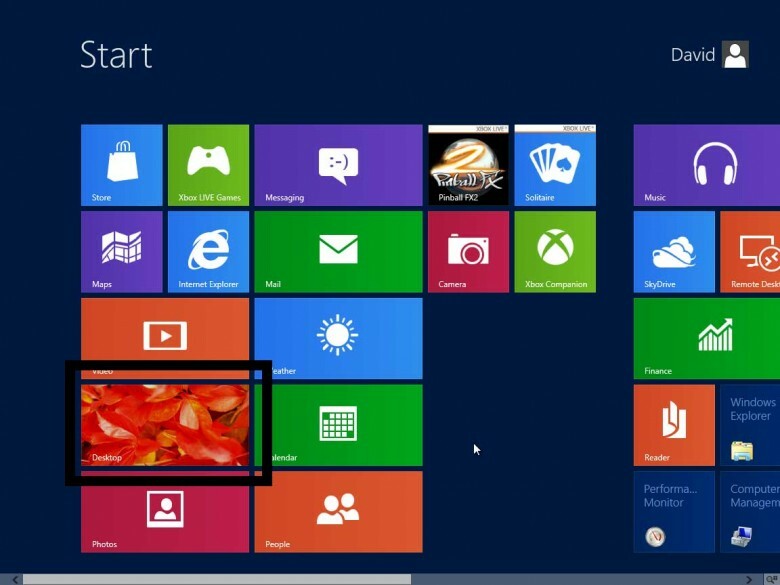 By introducing Windows 8 Microsoft hopes to move their Metro interface to the desktop. It is already present on the Xbox and Windows phones and with Windows 8 it will be on the desktop as well – sort of. This excerpt is shared with permission from davescomputertips.com. Dave's Computer Tips daves computer tips, microsoft windows, Microsoft Windows 8 issues, Microsoft Windows 8 problems, Windows 8, Windows 8 errors, Windows 8 issues. permalink. Windows Talk: Electronic Overload – Time to Get Disconnected? I tried Vista twice and later tried Windows 7. I am still using XP. I had to buy a refurbished XP to do that. I still have a machine that will run Vista and 7. I can take any external drive and hook it up to XP, Vista and Windows 7 and do a search. With XP I can find what I am looking for. With Vista and Windows 7, I can be inside a file folder looking at the file and search still can’t find it. When XP downloaded a search update I started having problems with XP search and now I am going to reinstall my XP disk to get rid of that problem. Wish Microsoft would do the same. When Vista updates screwed my computer any respect I had for Microsoft went down the drain. I installed it. Went through the hassle of reformatting and re-installing Windows 7 just to get rid of it. It's too much like a phone or tablet. It's not for me. Wow, cry more. its in Beta testing and people are complaining about freezing and lock ups? welcome to the point of BETA TESTING. Dude, its Microsoft, the beta test isn't over until they kill the support life. And windows 8 is gonna blow goat balls. Everything I've seen about it repulses me. I don’t have a smartphone mainly because I don’t like the interface they use and have no use for such a device anyway. So why would I be forced to use that horrible interface if I want W8? Will the ‘business’ version have a more conventional GUI? Hope so, else I shall have to move to a Linux flavour. @MikeP: Everything I’ve read about W8 indicates there is a way to shut off the tiled “Metro” interface in favour of a more conventional desktop interface which looks “remarkably” like W7. I’m one of the many Windows 8 Consumer Preview user. My opinion is W8 is an amazing upgrade if you are using a touchscreen computer: an all-in-one PC or a tablet but not for the usual PCs and laptops using mouse and touchpads. 2 thumbs-up for the Metro-style interface. As 8 was beggining to win me over it decided to download and install updates. After the reboot no more 8. It just froze with error messages so sad but the couple of days using it was enough to see what it was like. Great and fresh so bring it on. @michele: Never heard of junkmail (spam)?